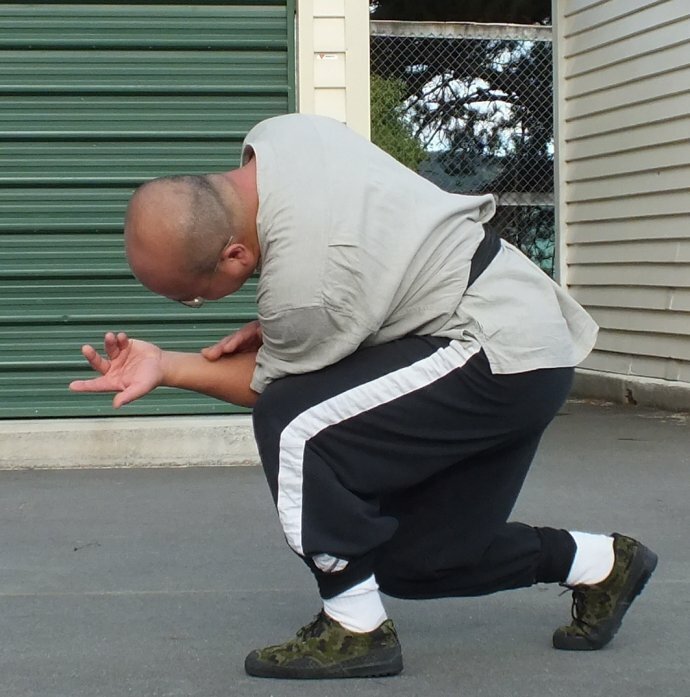 International Wu Tao Federation - The New Zealand Wu Tao Federation welcomes you! This page features information about my life and journey with Chinese Martial Arts, Chinese Philosophy, and Traditional Chinese Medicine. I hope this page will provide you with valuable insight into my life and make your decision to learn from me or visit me for treatment that much easier. Dr. Stephen Yan , born Yan Zhi Jun in Shanghai, is a well known and respected Chinese Martial Arts teacher and practicing Traditional Chinese Medicine Doctor. Dr. Yan is also a published author, writing under the pen name of Yan Zi Yuan. As a teenager in the 1970s Stephen was faced with a situation many young men of the world face each and every day. The neighboring bullies were making day-to-day life miserable for Stephen and his friends. Stephen decided the best way to resolve the daily conflict was to learn Martial Arts, so that he would be able to protect his friends and family. At the young age of 13, Stephen began learning Bei Shaolin Kung Fu (Northern Shaolin) with Master Du Bao Kuen who was the top disciple of Master Dong Zhong Yi. During these early years Stephen was also privileged to study Kung Fu with Grand Master Lu Zheng Du. Stephen also began to learn Shuao Jiao (Chinese Wrestling) with Master Li Chung Xing and Er Mei Kung Fu with Grand Master Tang Jing Yuan. These skills gave Stephen the tools to make life easier for his friends and family when dealing with the neighboring bullies. Stephen continued to study Kung Fu throughout High School. 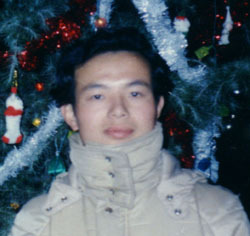 Upon completion of High School, Stephen was sent to the Shanghai Medical University, China’s top western medical school. While other students struggled to find time to study, Stephen was able to maintain the highest marks while still practicing his Martial Arts. 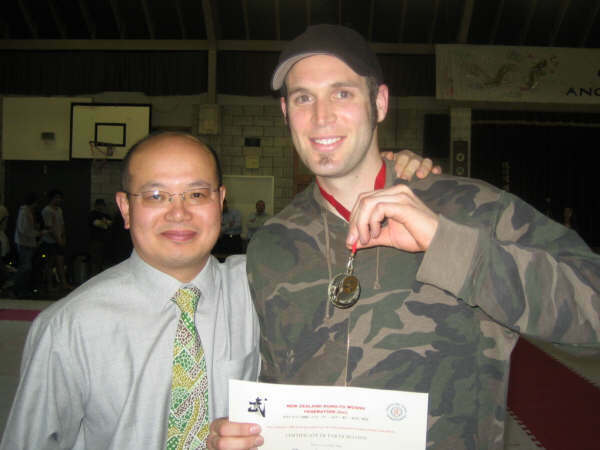 Stephen led the Shanghai University Martial Arts team and was able to win various medals in competitions. 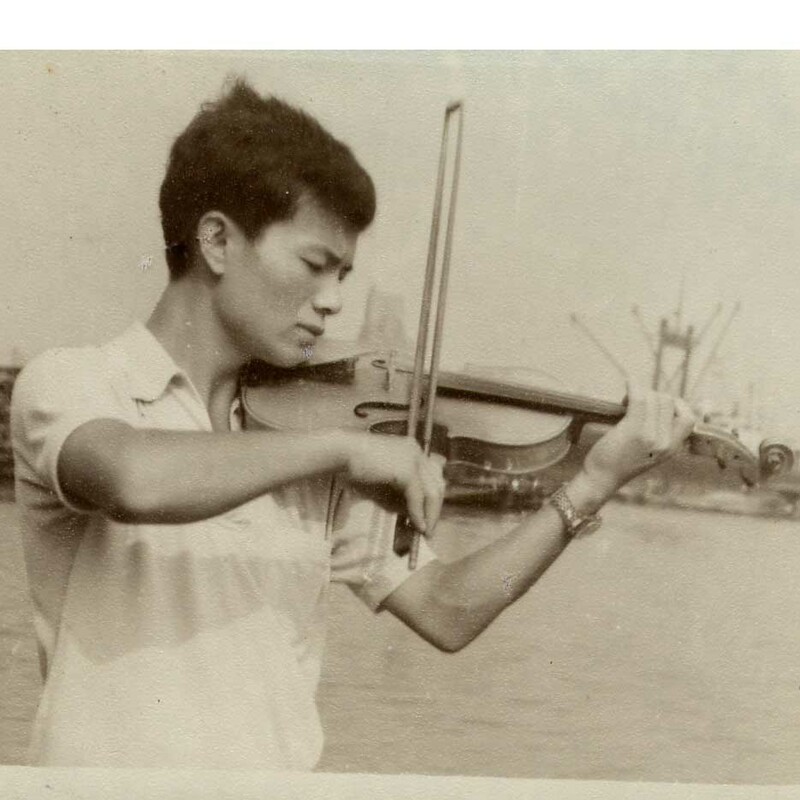 Stephen was also able to win the University English speech competition, the University Classical song competition, all the while maintaining his place as violist on the University orchestra and leading the philosophy group of three top Universities under the tutelage of the famous Chinese philosopher Li Xiao Ying. Stephen also was a member of the University painting association and his watercolour paintings featured on the University newspaper several times. To this day Stephen still enjoys painting and commits his insights into life and Chinese Culture in poems. Stephen was awarded a Bachelor of Western Medicine and a Bachelor of Surgery from Shanghai Medical University after 6 years of formal and dedicated study. During his time at Shanghai Medical University, Stephen also began his studies of Traditional Chinese Medicine from a famous Chinese Folk Doctor, Dr. Wang Zhen, and Traditional Chinese Trauma Treatment (Traumatology) from Master Ji Jin San, Master Lu Zhen Du, Master Li Zen Si and Master Li Chen Xing. After leaving medical school, now Dr.Yan, Stephen practiced medicine at Zhong Shan Hospital,in the General Surgery Department which is a well known teaching Hospital. After one year of practice Stephen was invited to New Zealand by the Open Forum for Health Information and received support for this move from Dr. Bob Boyd, the Head of the Department of Preventative Health in New Zealand who was seeking a Doctor trained in both Western Medicine and Traditional Chinese Medicine. 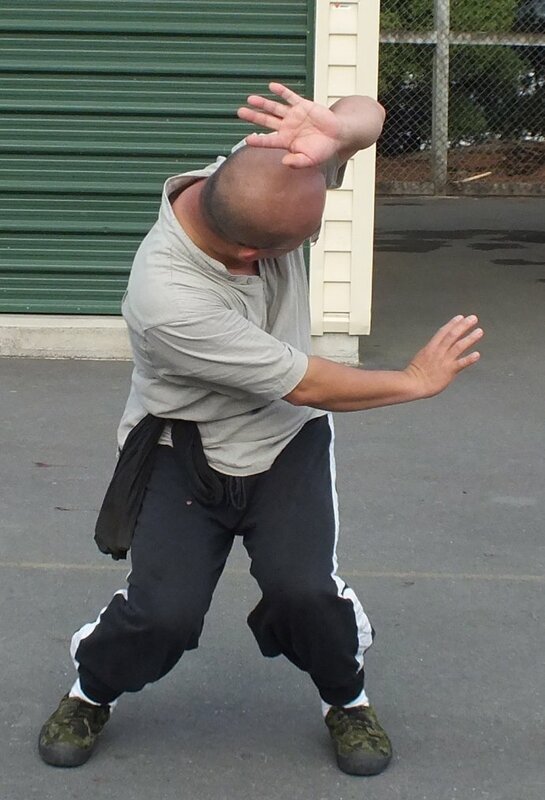 Stephen took the opportunity to bring the essence of Chinese Culture, Martial Arts and Medical practices to New Zealand society for both cultures to enjoy and share the benefits. Stephen moved to Wellington New Zealand in 1988. Since the situation that led to Stephen learning Kung Fu had been resolved, Stephen had become deeply attracted to the beauty of traditional Chinese Martial Arts, he found another world. A world that contained philosophy, medicine, longevity, literature, poetry, history, unification of the body and mind, and the art of applying martial arts for defense and offense. A world in which the goal was to reach a place of peace and harmony within nature and within society. This attraction was strong enough to make Stephen feel that it was his destiny to understand the body, both mind and soul. Later on, during in depth research into various Internal Martial Arts systems, Chi Kung, Western Medicine, Traditional Chinese Medicine, philosophy, various religions (including Taoism, Buddhism, Confucianism, Islam, Christianity; etc. ), he felt that they were all serving his destiny, and concluded this was meant to happen. Stephen has been very lucky to meet and study under various top masters of Chinese Kung Fu and was entrusted with their knowledge and in time becoming their top student. At that time the Chinese Cultural revolution had ended. In the past and under old traditions you were unable to become an indoor student or Disciple of more than one teacher. Stephen became the exception to this rule and was able to train under a variety of knowledgeable teachers. If you wish to learn more about Stephen’s Martial Arts studies please click here. 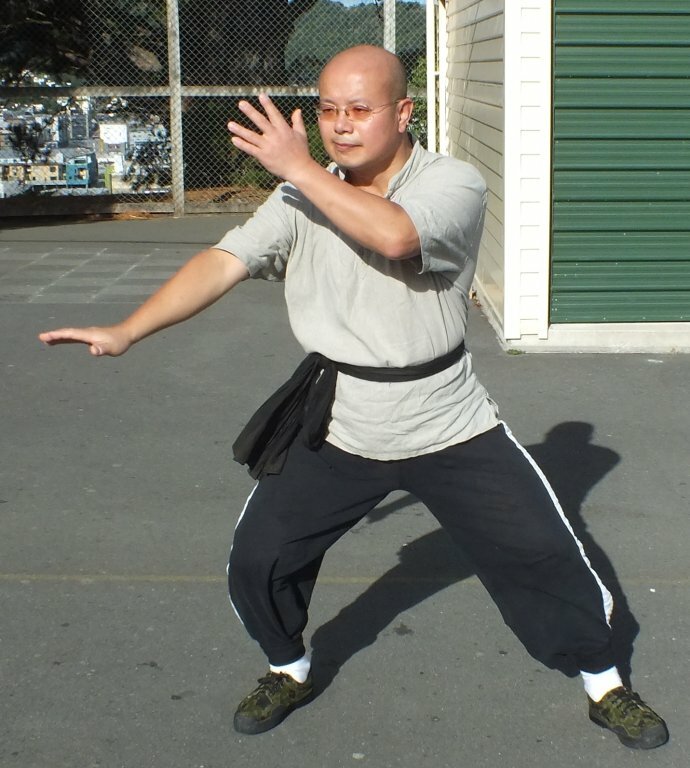 After arriving in New Zealand, Stephen reached a point in his life where he realized the Chinese Traditional Martial Arts, not being supported by the Chinese government, were beginning to lose the valuable knowledge of its top Martial Arts Masters who were beginning to pass away. Fearing that this precious knowledge would be lost forever, Stephen set his Western medical practice aside and devoted his full attention to the challenge of saving and documenting the Traditional Martial Arts skills of China. Since that time Stephen has published volume one of seven volume series on Wu Style Taiji as taught to him by Grand Master Ma Yueh Liang and Grand Master Wu Wing Hua. 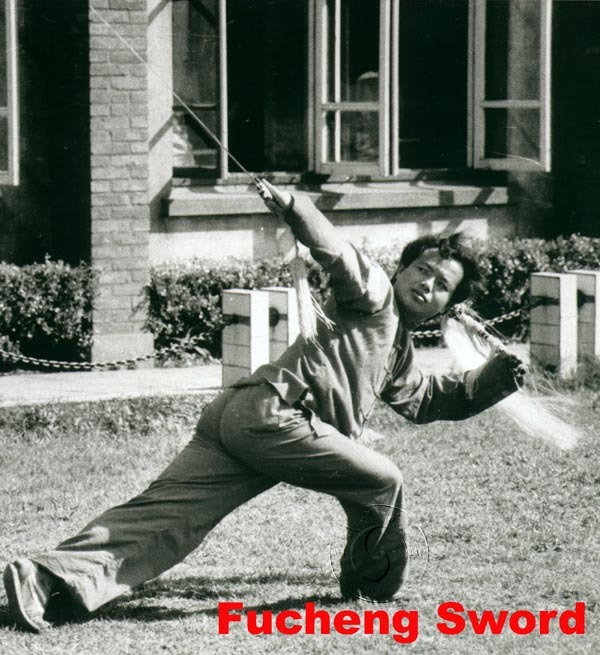 He has also published a book titled, Xing Yi Wu-Xing Hieh Chuan Zhen (Xing Yi 5 Element Boxing and Weapons), which records the forms and history of this closely held Martial Art. In 1993, knowing that Traditional Chinese Medicine had 2000 years of knowledge to be shared with the west, Stephen began a joint venture with the Chinese Government for the production of modern herbal formulated medicines in Jiang Su province. These herbal formulations are sold as Chinza Health Corporation products. During 1994 Stephen was invited to be the guest vice-principle of the Suzhou Ear, Eyes, Nose and Throat Hospital. Stephen was pleased with the opportunity to contribute both his knowledge of Western Medicine and Traditional Chinese Medicine to this Hospital to increase the health of its patients and share his knowledge with its staff. 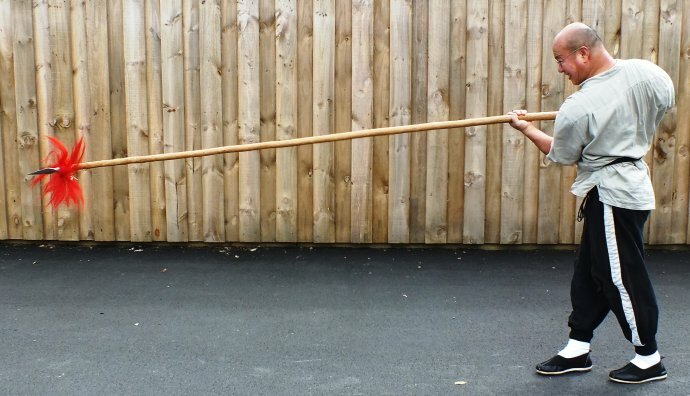 Over the years Stephen has sought out every opportunity to learn more about Traditional chinese Martial Arts and has sought out the best Teachers he could find. In August of 2000 Stephen took the opportunity to participate in the National Xin Yi Liu He competition that was held in Hernan. Stephen placed first in Open Handed Forms and also first place in the Weaponry Forms. 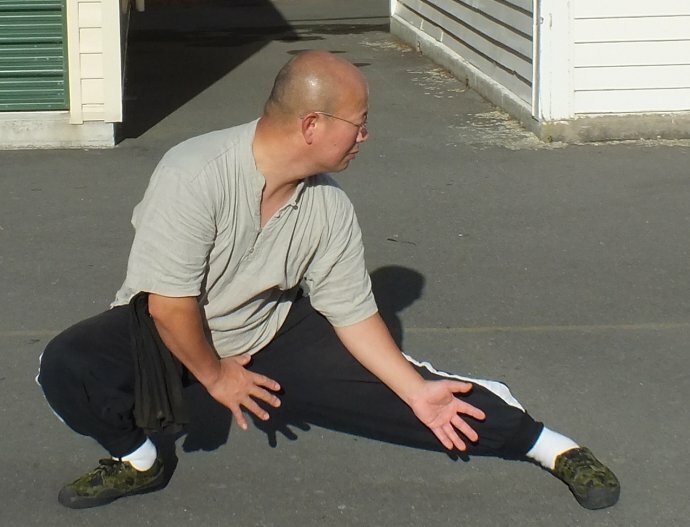 While Stephen has resided in Wellington, he has had the joy of bringing a number of Kung Fu, Tai Chi, and Chi Kung Masters to New Zealand in order to share and record their valuable knowledge. Stephen has also been asked to contribute his Chinese Medical knowledge in articles published in the New Zealand General Practitioners Magazine, and also by lecturing students at the New Zealand School Of Acupuncture and Traditional Chinese Medicine. When writing and lecturing other Medical Doctors, Stephen is able to teach Traditional Chinese Medicine using modern Western Medical terms and concepts. 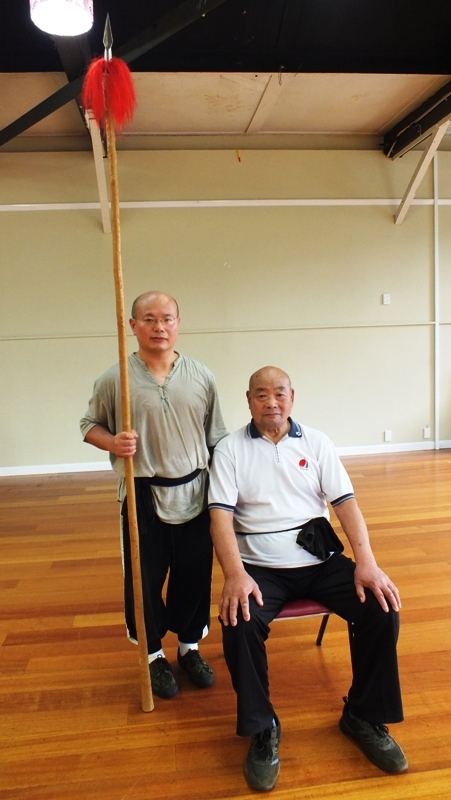 Currently, Stephen is practicing Traditional Chinese Medicine and teaching various Martial Arts and Chi Kung here in Wellington where he holds the Chair of The Wellington Chinese Martial Arts Association. Stephen is also an Executive member of the Open Forum for Health Information, and an Executive member of the Chinese National Bloodletting Association which is a special form of Acupuncture. 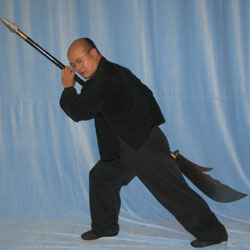 Stephen enjoys sharing his Martial Arts`with those willing to put concentrated effort into learning. 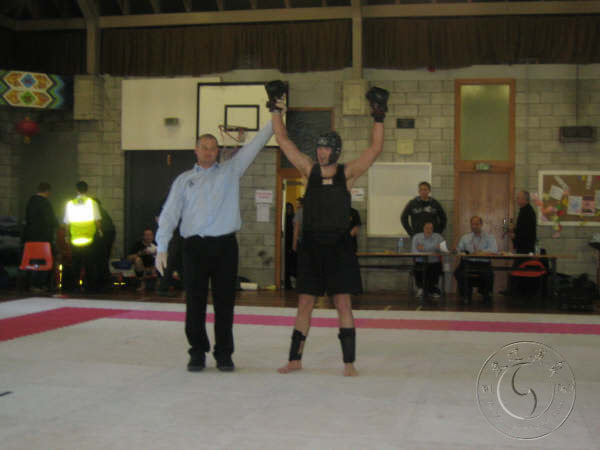 Stephen has successfully coached David Stella to the 2005 Championship of both the New Zealand and the Australasia Sanshou Championships. Any person wishing to learn about or seeking the benefits of Chinese Culture, Philosophy, Medicine or Martial Arts is welcome to contact Stephen for more information about his classes and Medical practice. "It was my great good fortune to have private classes with Dr Stephen Yan, a martial artist and doctor of huge skill and a most kind, open and humble man. These qualities are important especially in the world of martial arts, where teachers, albeit ones possessing great skills become lost in self importance and ego. Right from the start he was friendly towards me, and on our first meeting bought me a beer. If that doesn't sound exceptional, I have 30 years of experience in the world of martial arts, and believe me, this approach was refreshing in it's simplicity and openness What he taught me has become the cornerstone of my practise, and I only wish I could have spent longer with him. I very much hope to visit him again, one day, until then I will continue to treasure the sack of gold he has given me. Please visit my Chinese Language page for my most recent work.